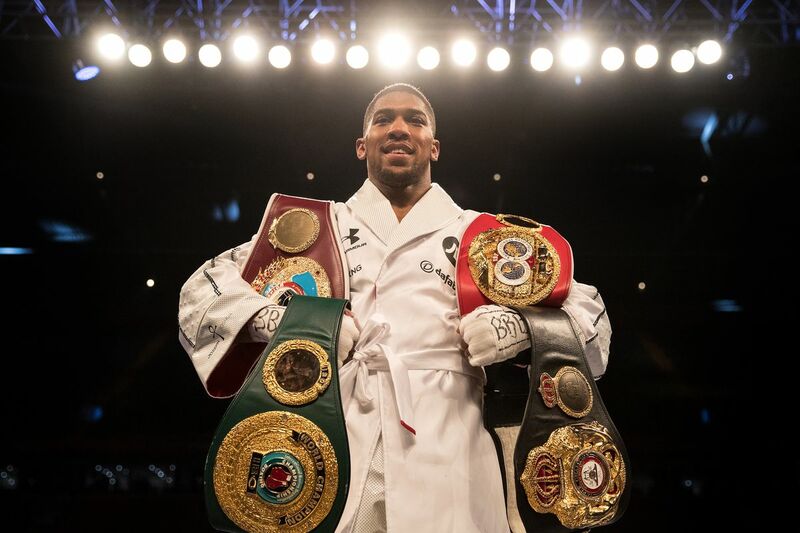 Anthony Joshua, who currently holds three of the four major world titles, tells Sky Sports that WBC titleholder Deontay Wilder now has his strict attention. And with that being said, Joshua claims that his team is about to make an offer to Wilder that he should be ‘over the moon’ about, for what would be an undisputed heavyweight title unification. “I want that fight, no doubt about it. He was very vocal about wanting the fight before I was, because my objective was to accumulate every single one of the belts. Joshua continued to say that he hopes the impending offer will shut Wilder up from clamoring in the media and just make the fight happen. Joshua also says the proposed deal will have a great rematch and upfront clause which Wilder should be ecstatic about. Alexander Povetkin is currently Joshua’s WBA mandatory challenger and is hoping to get his shot first, but Joshua claims he’s not really interested in facing him at this point. Joshua could potentially push that fight off for a while as title unification bouts trump mandatory defenses, but that would require Joshua-Wilder actually coming together. Hopefully we as fans will get the fight we want to see in short order as there’s some historical significance to a Joshua-Wilder fight, especially considering there hasn’t been an undisputed heavyweight champion in nearly 20 years.